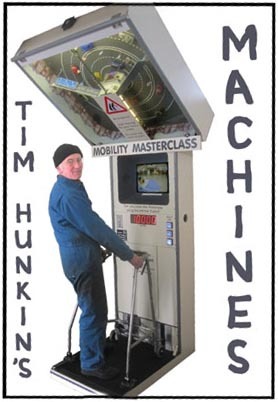 This DVD features 50 of Tim Hunkin’s machines, including the Doctor, Chiropodist, Test Your Nerve and AutoFrisk which were originally made for Cabaret Mechanical Theatre in Covent Garden. Format Note: The disk is multi-region and PAL, so it will play on computers everywhere, but in America or other NTSC regions, it won’t play on TV DVD players. Sorry! Out of stock. 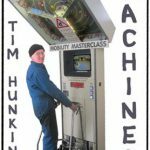 Alternatively, try Tim’s site.